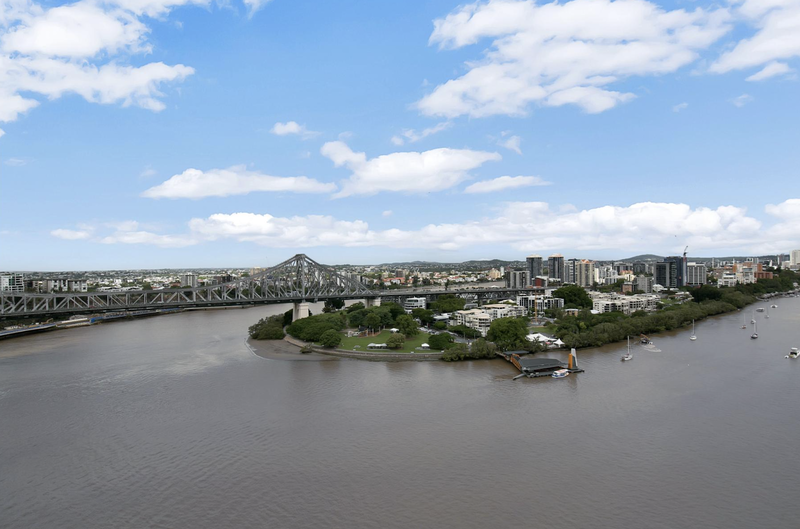 Brisbane Apartment: New or resale apartment? I am often asked whether it is better to buy a new or a resale apartment. Often, you get better value in a resale apartment. There are less marketing and agent costs, and the seller does not have to achieve a price to satisfy a bank or investors. A resale apartment may have an older kitchen or bathroom, but will often be larger. Before buying a new off the plan apartment, look at what is available today for resale. For example, this apartment in Admiralty Towers Two, on a high floor, is listed for sale at $749,000. This is in a good location on Queen Street, near the Marriott Hotel and the Howard Smith Wharf development. It is direct river front, has excellent views, deducted air-conditioning (not a split system) and is 116 sqm (much larger than most new two bedrooms.) Currently, it achieves $670 a week rent.